Based in Knowle, Eleanor Betts, Director of Think Wills & Probate has been providing a will-writing service in the Solihull area for over twenty years. She is a member of the Institute of Professional Will Writers, and has many satisfied clients and families in Knowle, Solihull, and the surrounding areas. Services include Will Writing, Lasting Powers of Attorney and Probate. There are no forms for you to fill in. We listen to your needs and give you the appropriate advice depending on your individual circumstances. Please do not hesitate to contact Eleanor Betts on 0121 788 5329 or 07717 862705 for clear, unbiased advice, in confidence. It doesn't matter how long you've been together, intestacy law doesn't provide for unmarried couples. It's essential that legal guardians are appointed to care for children in the event of both parents dying. It's vital that you make valid Wills to make sure that each of you, and your children, are financially protected. Consider a Lasting Power of Attorney if you are to become one of the people caring for your parents. 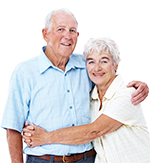 We are experienced in taking Will instructions in critical situations, either at home, in hospital, or in a hospice. Do you know what would happen to your business in the event of your death? Business succession planning is vital.